Designed in conjunction with internationally renowned interior expert, Thomas Griem, the Cyclone lamp from RV Astley oozes contemporary chic. 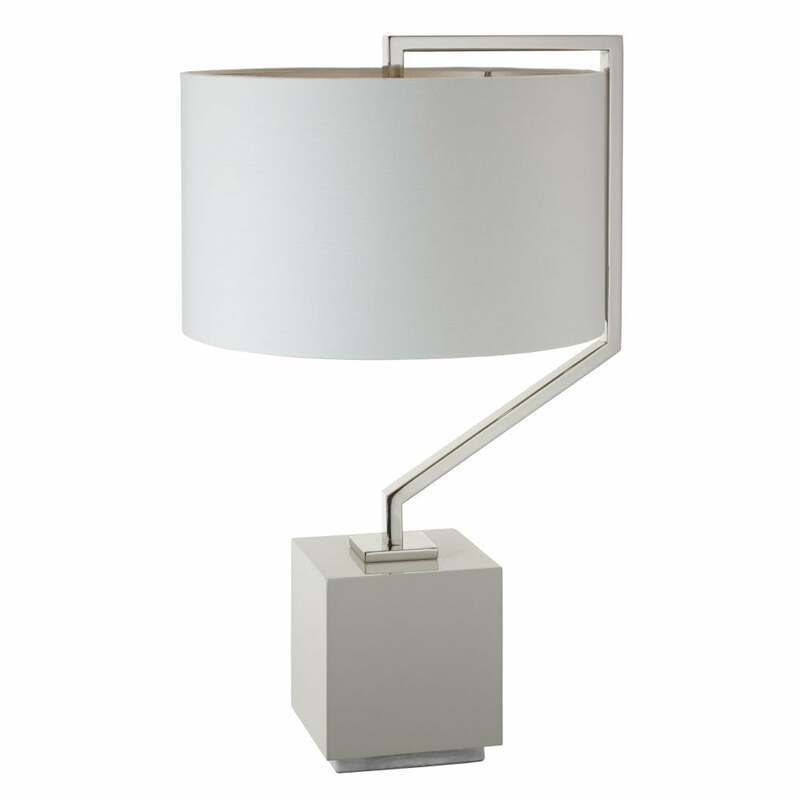 Extending from the cubed base is a refined arm-like structure which extends to support the greige drum shade. The table lamp is a sculpted lighting masterpiece. Combine in a pair on bedside cabinets in the bedroom for dreamy, hotel chic. Style on a console table for luxury lighting to illuminate a narrow, dark entranceway.